PEER provides reliable bearings for the on-highway industry. These bearings are designed to achieve long life and consistently meet high quality standards. Robust tapered roller bearing and deep groove ball bearing construction extends the bearing life for improved equipment and vehicle reliability. Advanced calculation software to optimize bearing design and performance. 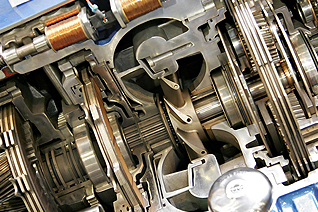 The automotive industry demands the best quality, reliability, consistency and value. Transmission bearings used in automotive manual and automatic transmission, axles and transaxles, transfer cases, alternators, clutches and fans are required to achieve long life and consistently meet high quality standards. PEER offers customized bearing solutions to meet the long-lasting robust designs of the past and the highly-efficient applications of tomorrow. As well as offering a wide variety of standard bearing sizes, PEER can engineer product solutions to your special dimensions, tolerance requirements and increased capacity. 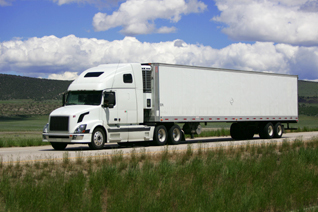 Truck and trailer applications require long life and the quality and consistency that can be relied upon time after time. The trucking industry drives our economy and PEER Bearing is dedicated to support you in providing reliable bearings for your applications. PEER offers standardized bearings of deep groove ball and tapered roller designs commonly used in many wheel end, axle, drive-shaft and transmission applications.